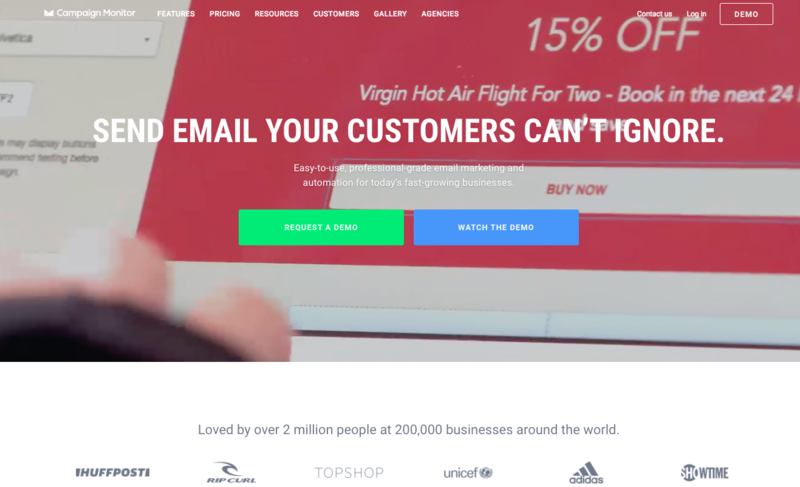 Campaign Monitor (CM) is an online HTML email marketing tool to turn customers into loyal customers by personalized email campaigns and automated customer journeys. It helps drive real, bottom line, business results. As an easy-to-use tool, CM allows their customers to create, send, and track advertising or fundraising emails to their customers. Unlike other majority email marketing tools, the pricing of CM is reasonable and flexible. There is no registration fee. Any company can get started for free if the company send emails to no more than 5 clients. You can choose one of four plans right for your company. It will depend on how many clients that you will send to. If you send emails to a large of number customers frequently, only need $29 you can send unlimited emails and can use other additional features. You also can manage your emails online and download Campaign Monitor Application for monitoring your clients. You won’t want to miss it. The first impressive thing is the simple process of sending your email. You can just follow the Campaign Monitor Website to set subject line, campaign title, and the email addresses of senders and receivers. Another thing is that CM prevents your emails from getting trapped behind firewalls or spam filters if the campaign emails are sent from a paid email address. The last impressive thing is that every sender can get the “Google Analytics” style-report to track your clients’ response and have a clear interaction and prompt campaign feedback. Up to now, lots of organizations have benefited from Campaign Monitor. 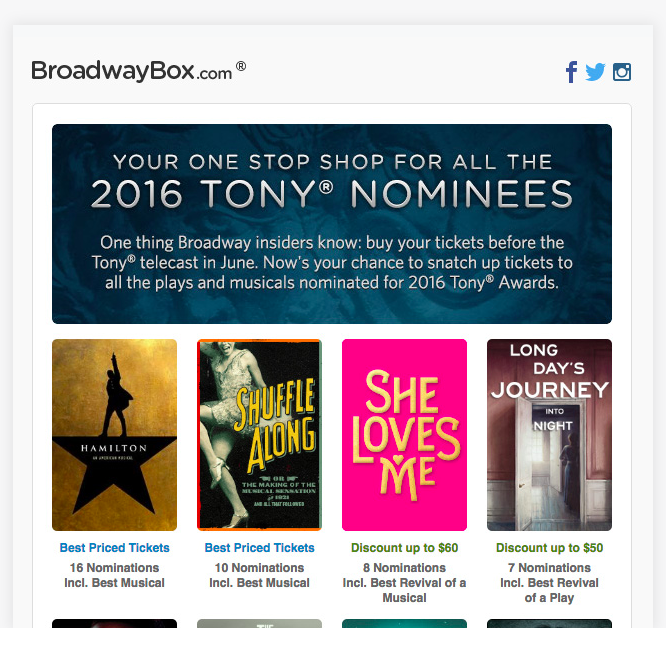 For instance, the one of the largest performing arts organization, Broadway, send weekly news to their biggest fans and subscribers by CM. 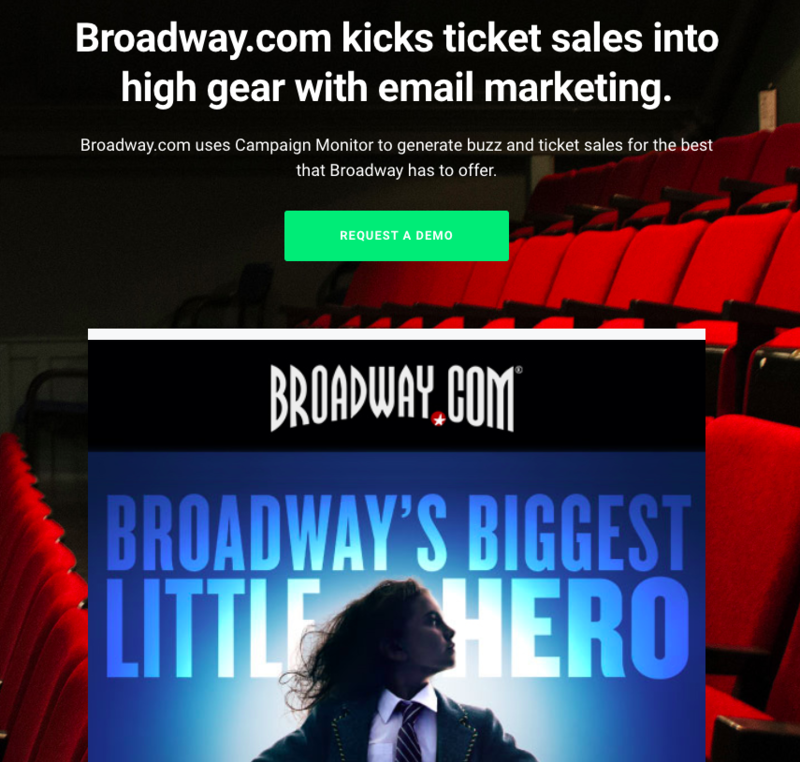 Campaign Monitor has been increased ticket sales and built loyal audiences with email marketing for the Broadway. 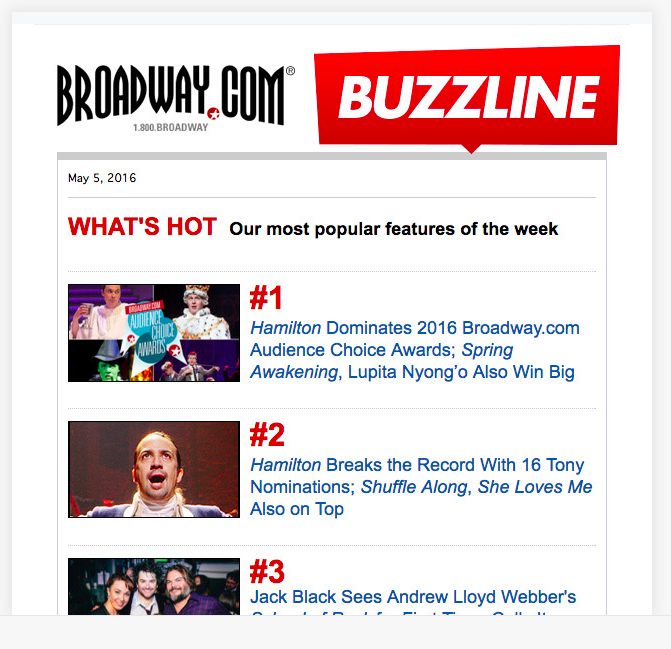 Every subscriber can know what is hot on the Broadway and can start their Broadway experience from a musical to Tony Awards.